Reservations Form | Adrift Adventures Moab Utah! Let us assist you with your vacation plans. If you have any questions, please call our friendly staff toll-free at 1-800-874-4483 or 435-259-8594 [Click to go right to the Reservation Form] Please go green! Book your trips online. Upon online reservation, you will be emailed where to meet and what to bring. *All multi-day as well as one-day Westwater and Cataract Canyon and any combination trips need to be reserved online. All trips depart from our office at 378 North Main Street in Moab, Utah. Departure times apply March through November. Participants on full and half day trips should meet 15 minutes prior to departure time at our office. The meeting time for all multiple day trips listed is 7:00 a.m. Mountain Time at our office unless otherwise noted. For all multi-day trips you are required to physically check in the night before, by 6:00 pm, to confirm your departure time. All multiple day trips require a $100 per person deposit for confirmation. The balance of the trip fee is due 60 days prior to the trip departure date. If cancellations are made at least 60 days prior to the trip deposit date, the deposit is refunded, less a $50 service charge per person. For cancellations made within 60 days of a trips's original departure date, monies are non-refundable. At 60 days monies are charged to credit card for final payment. One-day Cataract Canyon Express and One-day Westwater Canyon trips are nonrefundable within 14 days of departure date. Cancellations require email notification to adriftmoab@gmail.com and at that time we will email you back that the information has been received. If you haven't received a return email in 24 hrs please phone our office immediately. Fisher Towers Trips (Full and Half day): There is no deposit charged for the Fisher Towers full and half day trips. Your credit card is just used to hold the trip. The full and half day trips do have a 48 hour cancellation and is nonrefundable within that time; payment will be charged in full if cancelled within the 48 hour mark. Westwater Canyon (one day trips): Have a 14 day cancellation policy and are nonrefundable after that time. 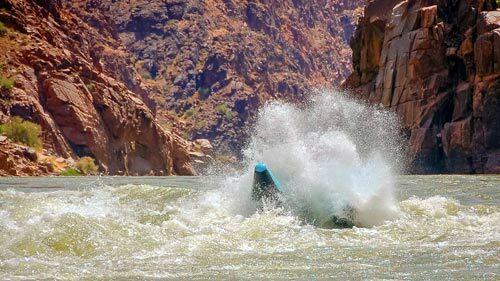 Westwater trips are charged in full within 14 days of trips departure. Cataract Canyon Express One-day: Has a 14 day cancellation policy and is nonrefundable after that time. Cataract Canyon Express trips are charged in full within 14 days of trips departure. Land Tours/National Park Backcountry 4x4 Jeep Tours: There is no deposit charged for the full and half day jeep trips. Your credit card is just used to hold the trip. The full and half day jeep trips do have a 48 hour cancellation and are nonrefundable within that time. Payment will be charged in full if cancelled within the 48 hour time period. Private Tours: All full and half day private tours have a strict cancellation policy of 7 days. All multiple day trips: require a $100 per person deposit for confirmation. The balance of the trip fee is due 60 days prior to the trip departure date. If cancellations are made at least 60 days prior to the trip departure date, the deposit is refunded, less a $50 service charge per person. For cancellations made within 60 days of a trip’s original departure date, monies are nonrefundable. At 60 days monies are charge in full to credit card for final payment. Adrift Adventures is not responsible for any cancellations or modifications of tours due to river levels, weather condition, road hazards, vehicle breakdowns, or other unforeseen conditions that may hinder the ability for the tour to take place as scheduled. We reserve the right to cancel or modify any trip due to circumstances beyond our control. In such cases, we cannot be responsible for paying any expenses you may have incurred other than to refund monies due to you for tour price. For these reasons we highly recommend you take out trip insurance. A detailed, appropriate packing list for each trip is sent out upon reservation confirmation. Please keep the weight of your personal items to approximately 35 lbs. (not including alcoholic or soda beverages). For more detailed information and a complete itinerary, please write/call our office. Click here for printable packing list. Our trips offer the option of return transportation (Cataract Canyon trips only) via van, scenic flight or vehicle shuttle. Refer to each trip's packing list for all necessary equipment, we supply river bags, kitchen and eating utensils. Meals from lunch the first day until lunch the final day are included on multiple day trips, except where noted. Meals or hors d'oeuvre are included only on the day trips indicated in the trip listings. Our trips do not include liquor, wine, or soda beverages; raingear; guide gratuities or 8.6% sales tax where applicable. Trips on the Green River are either guided rowing or paddle boat trips, and inflatable kayaks are available upon request (14 day advance notice required). With paddle boat trips, we ask that participants be in good physical condition. Colorado River trips through Cataract Canyon are either motor powered or guided rowing. Single day or half day trips are guided rowing. Paddle boats are available upon request and availability. We reserve the right to change type of watercraft based on water levels. We suggest children be at least 4 years old for half and full day Fisher Towers/Colorado River trips. 7 years old for all multi day trips, on normal or lower water levels years; and at least 10 years old during high water periods on other rivers sections. Age is subject to change based on water levels. Upon confirmation of your reservations, we'll send you a copy of suggested hotels, camp parks, bed and breakfast inns, and primitive campsites in the area. If you need planning information sooner, please call our office. Adrift Adventures represents professional experience in whitewater trips and tours. We will make every effort to give you a thoroughly professional and pleasing wilderness experience. Adrift Adventures is licensed by the BLM, Forest Service, National Park Service and Glen Canyon National Recreation Area. Our inflatable rafts are specially designed for use in whitewater. We supply Coast Guard approved lifejackets and our safety record is excellent. Our crew is experienced in helping first-time runners have a great time. We also make every effort in handling special dietary needs and other requirements that you or your group may have. If you are traveling with minors (17 and under) that are not your children, we have waivers that their parents can sign in advance. We can provide these for you. Please bring them when you check in. See your travel agent or call toll-free 1-800-874-4483. All multi-day one-day Westwater and Cataract Canyon and combination trips have to be booked online. There is no deposit charged for the Fisher Towers full and half day trips. Your credit card is just used to hold the trip. The full and half day trips do have a 48 hour cancellation and is nonrefundable within that time; payment will be charged in full if canceled within the 48 hour mark. Groups of ten or more qualify for the designated group price. One person will be designated as group leader and will collect monies and handle all correspondence with our office. Group leaders will be responsible for seeing that all people in the group receive a copy of all the appropriate trip information. This applies to multi-day trips only. Please inquire with our office for special family discounts. You can organize a group of 15 or more people for any of our multiple day trips and go free. Call our office for details. All of the expeditions outlined herein will be carried out under the business management of Adrift Adventures. Tour operators and/or travel agencies booking company tours will not be responsible for any expense due to delays or cancellations of transportation facilities employed in these tours or any increase in transportation rates effective after the publication of the website. We reserve the right to cancel or alter any expedition itinerary. This would include the option of changing motor to rowing trips or vice versa. Prior to your trip departure, you will be required to sign a assumption of risk agreement. Please note that any personal vehicle shuttles are the responsibility of individuals making those arrangements, and full and complete insurance coverage is supplied by the vehicle owner or renter. You should recognize that there is an element of risk in any adventure, sport or activity associated with the outdoors. Because of the inherent risk, dangers and rigors required in river running, you must be able to certify that you and your family, including minor children, are fully capable of participating in river running and related activities. Therefore, you must assume full responsibility for yourself and your family, including minor children, for bodily injury, death and loss of personal property, and expenses thereof. You may obtain medical insurance on a vacation plan basis from numerous insurance companies. You are responsible for any aerial evacuation or medical expenses incurred on our trips. Please inquire about medical evacuation insurance. Prior to the trip's departure you must sign an assumption of risk for yourself and any minors traveling with you. Children's age restrictions vary with water levels, time of the year, and may change yearly. Where are you staying in Moab? For multi-day trips, if you have dietary requirements, please add them to comments (If vegetarian, what can you eat?). In comments box, please indicate for Cataract Canyon trips your Moab return option. By submitting this reservation, you have acknowledged that you understand and agree to all deposit and cancellation procedures outlined above. Click this checkbox * to accept Cancellation Policies. For Reservations please go green and use our online form. Click here for real time weather report for the Moab Utah area.